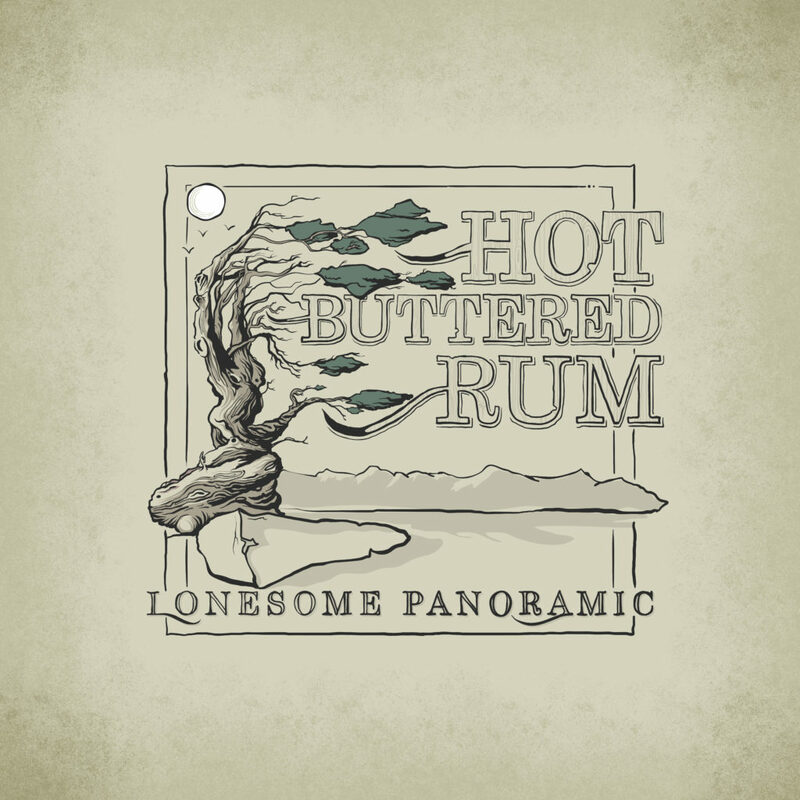 Our fan-supported 3-EP project, featuring three very different sounds of Hot Buttered Rum. For more detailed info on the making of this very special album, please click here. Currently out of stock in CD format. The CD is periodically available through CD Baby. Produced by Steve Berlin of Los Lobos. 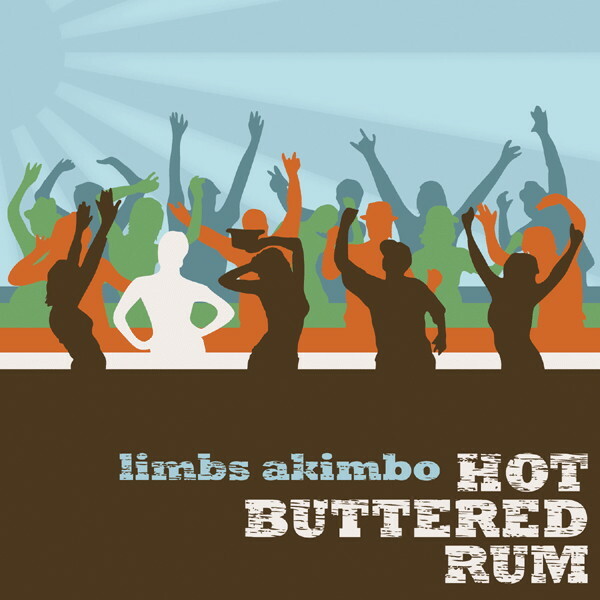 Recorded live on tour in 2012. 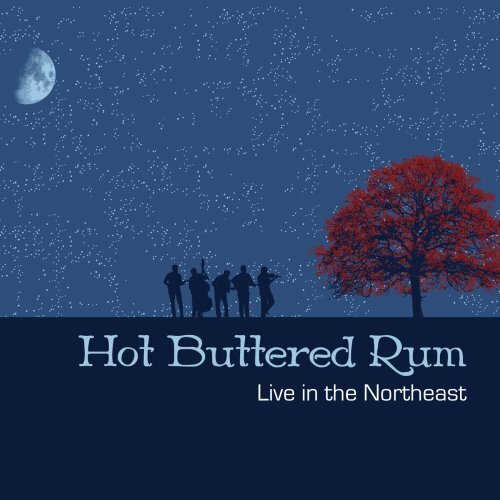 Recorded live on Hot Buttered Rum's Northeast Tour 2006. 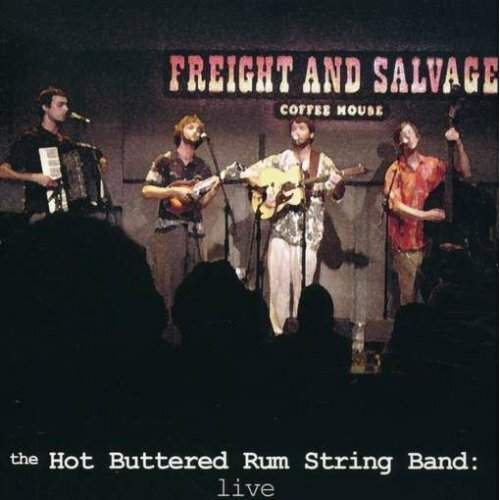 Recorded live at Berkeley's premiere acoustic music venue on August 6, 2002. 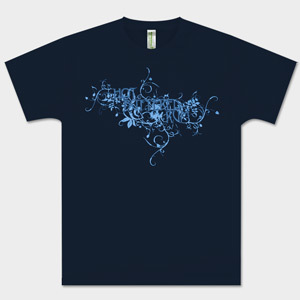 Organic Youth Short Sleeve Tee with HBR vine design on the front. These are sized just for the little Butter fans. 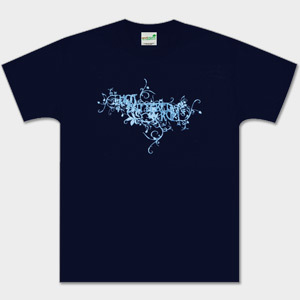 Organic Short Sleeve Tee with vine design on the front. 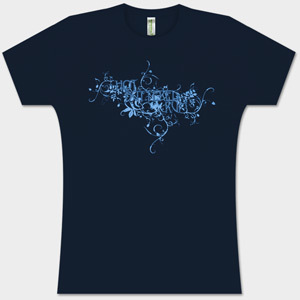 Organic Ladies Short Sleeve Tee with vine design on the front. 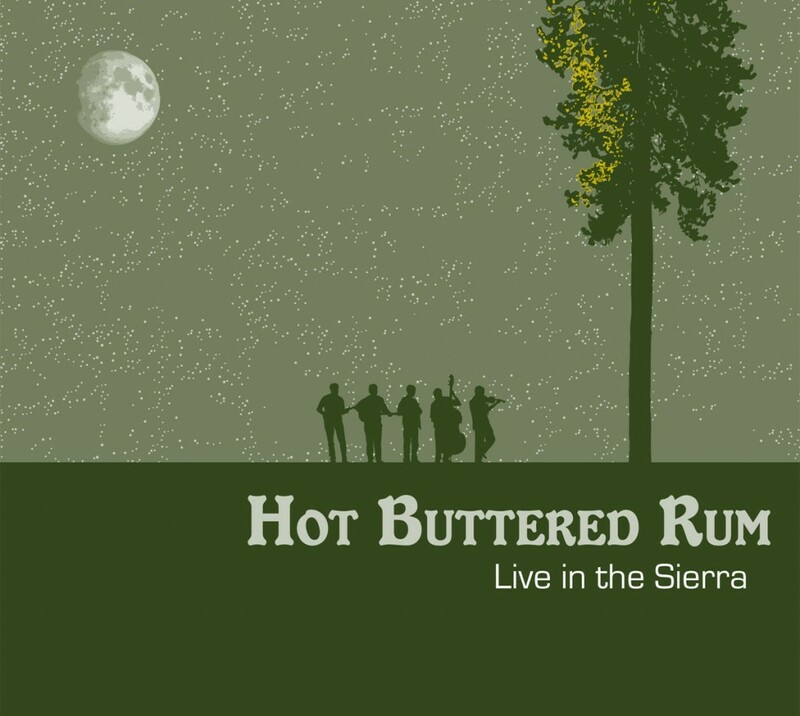 New Monsoon/Hot Buttered Rum from February 4, 2006 at the historic Fillmore Auditorium in San Francisco. Size is 13x19. Signed by both bands. Signed by HBR. Artwork by Ryan Kerrigan. Limited total run of 100. 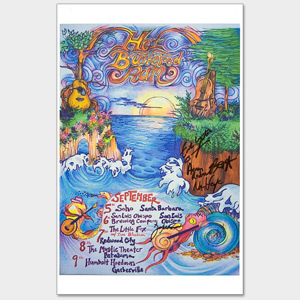 An original Drowning Creek Studios/Jeff Wood design, signed and numbered by the Artist. 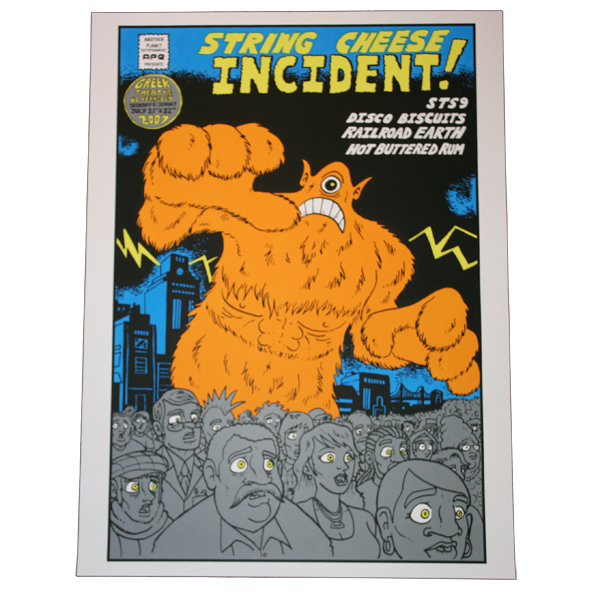 Limited edition of 300 posters. The poster was done for the Cervantes Inferno NYE Denver run in December 2006. 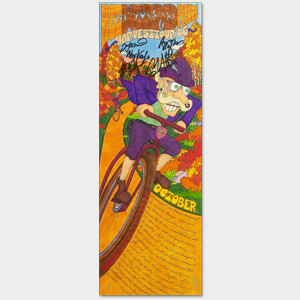 Poster size is 11"x25". From the 9/25/05 Katrina Relief benefit show at 12 Galaxies in San Francisco. 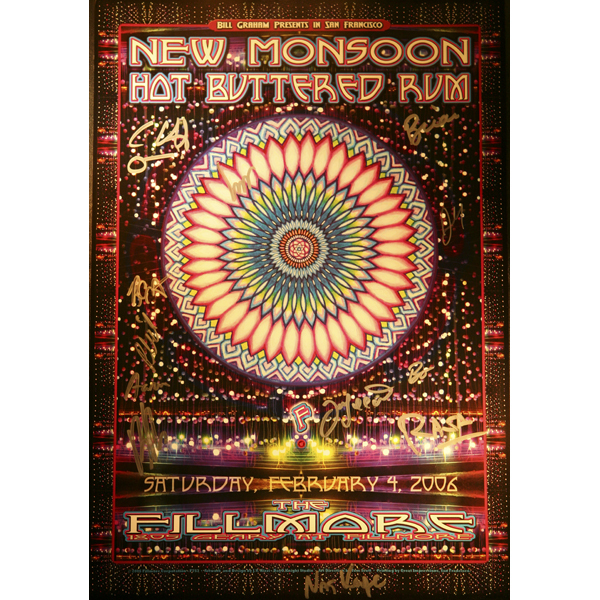 Members of HBR, String Cheese Incident, ALO, New Monsoon, Jambay and the Axis Brothers played. 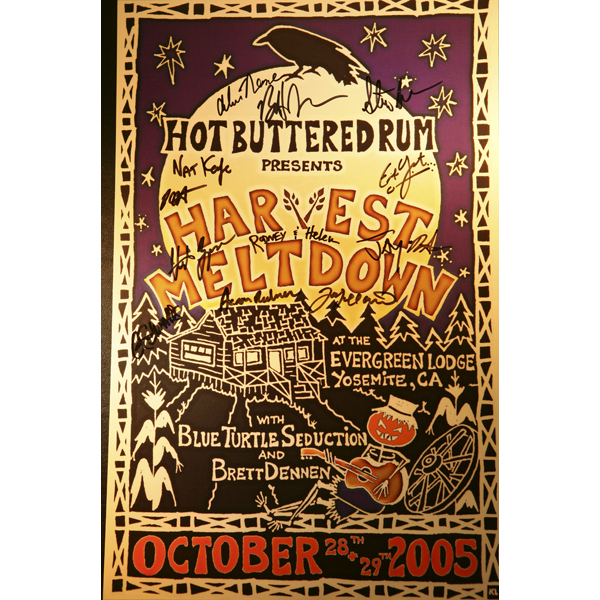 From the epic 2005 Harvest Meltdown at the Evergreen Lodge. 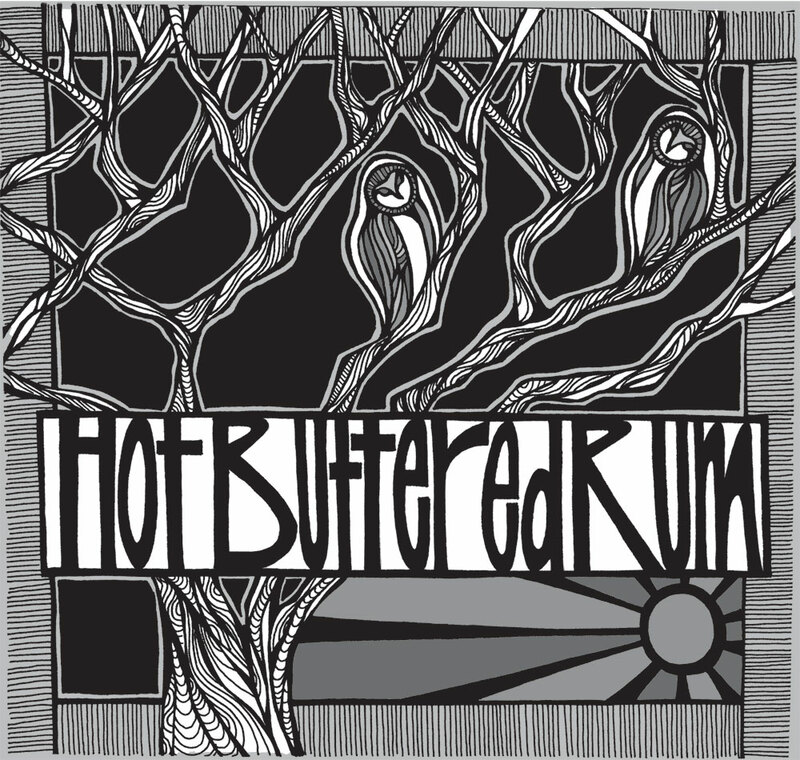 HBR, Blue Turtle Seduction and Brett Dennen. Size is 11x17. Signed by the musicians. 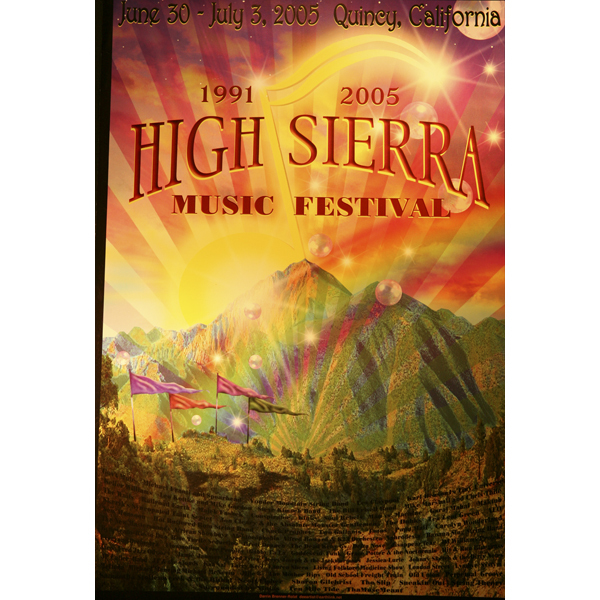 The festival poster from High Sierra Music Festival 2005. HBR played, as well as many other bands. 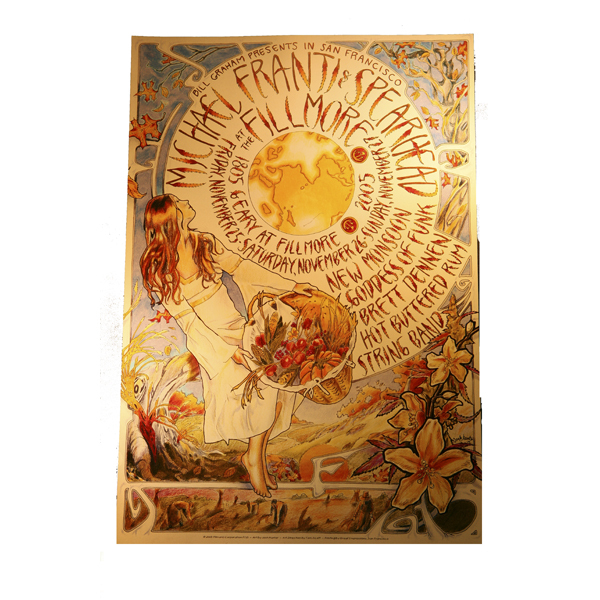 This poster was produced for Michael Franti & Spearhead's show at the historic Fillmore Auditorium in San Francisco on November 25 and 26, 2005. 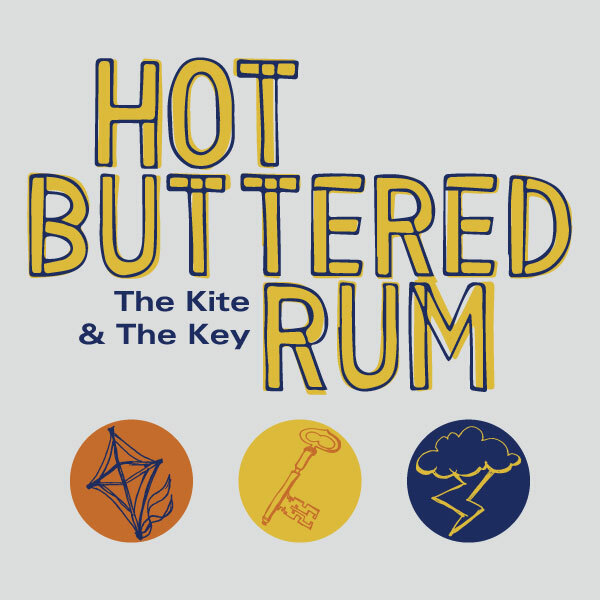 Hot Buttered Rum, New Monsoon, and Brett Dennen also appeared at this show. Size is 13x19. Artwork by Aurelia - signed by the artist. 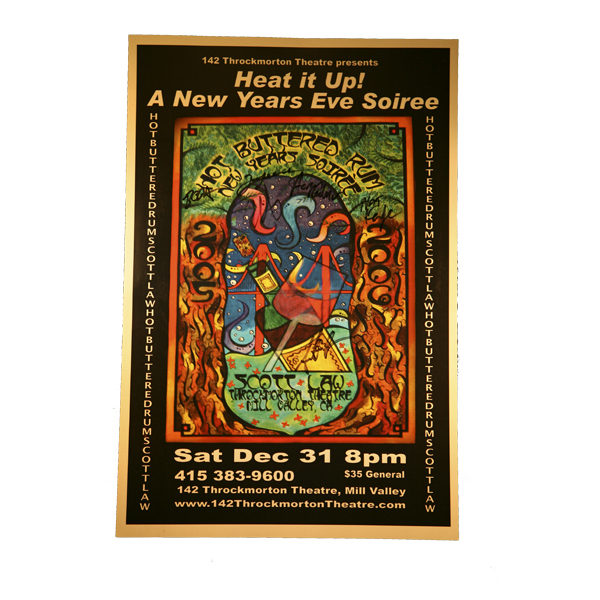 Commemorating the 2005 New Year's Eve soiree at the Throckmorton Theatre in Mill Valley, California. Also appearing, Scott Law. Commemorating the 2005 New Year's Eve soiree at the Throckmorton Theatre in Mill Valley, California. Also appearing, Scott Law. Signed by the musicians. Signed by band. Numbered by artist. From the Spring 2006 Meltdown at the Evergreen Lodge. 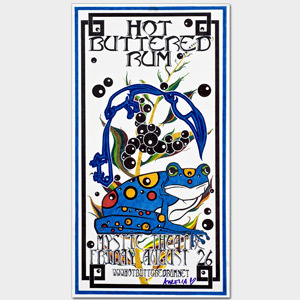 Poster art by John Boys of Cherub Root Design. 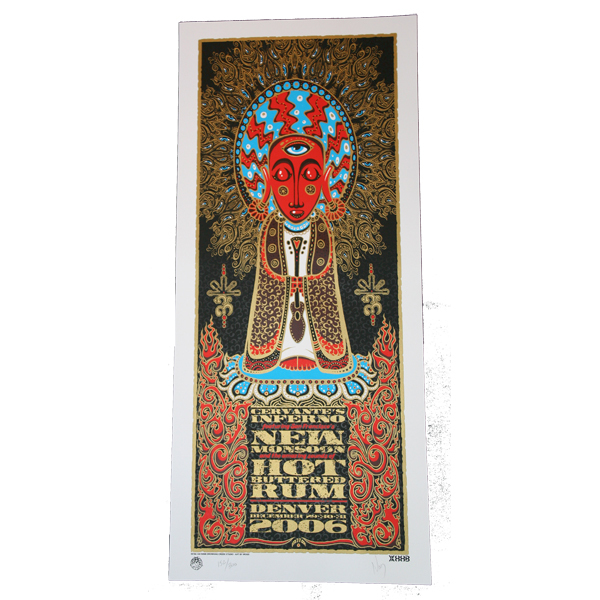 From the legendary run at the Greek Theatre in July 2007, this poster is sure to be a collector's item. 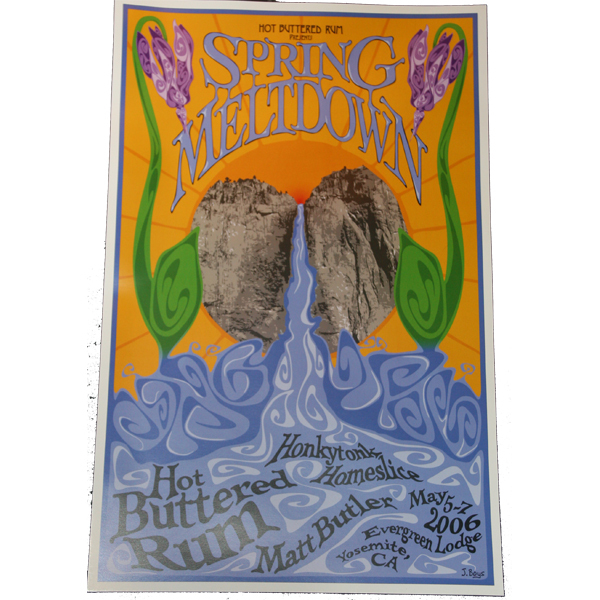 Other bands include Disco Biscuits and Railroad Earth. Size is 18"x24". 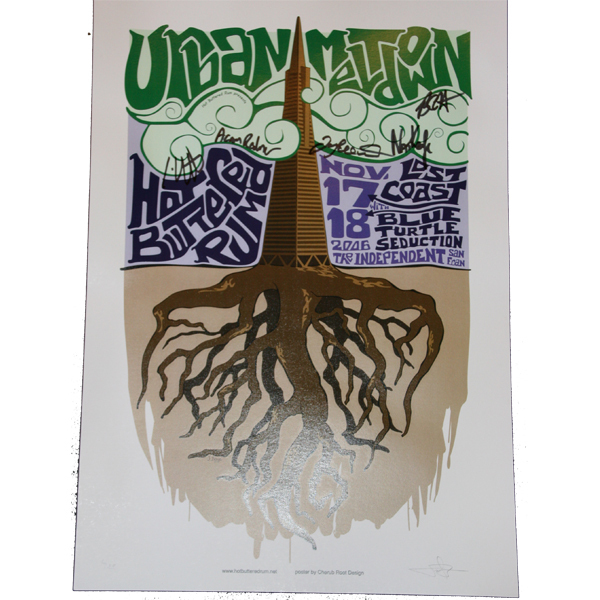 An original design by John Boys of Cherub Root Studios, done in commemoration of the Urban Meltdown in San Francisco in November 2006. 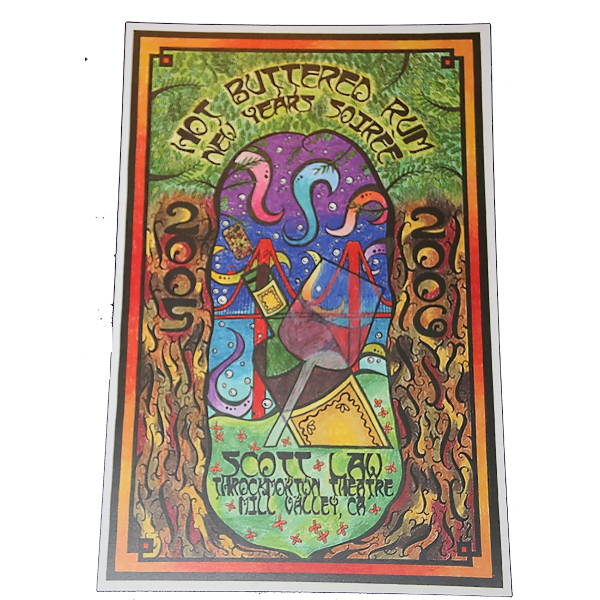 Signed by the band, and signed and numbered by the artist. 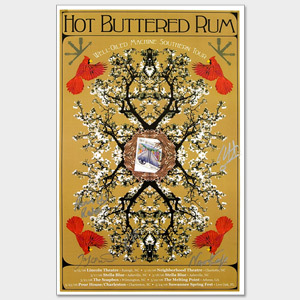 Signed by HBR and New Monsoon. Art by Aurelia. Artwork by Ryan Kerrigan. Limited total run of 100. 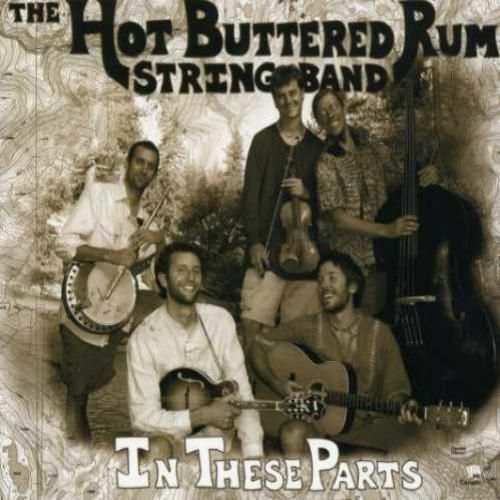 Please contact us at merch@hotbutteredrum.net if you have any problems.